Many of our clients like to make past PowerMail issues available to people who visit their website. This is done through the use of a Web Index. Although we make it easy to add any of your past issues to a web index, there are a few options to consider regarding the creation of that index page. 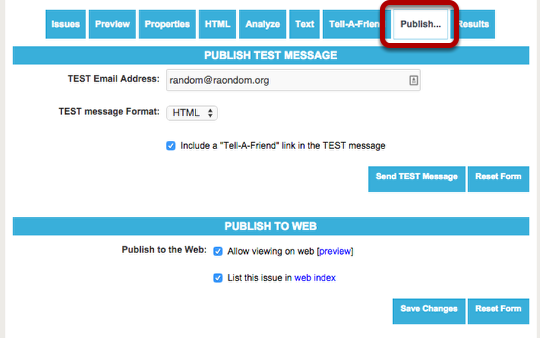 Each Publication will have it's own Web Index, select the Publication in the Properties tab. 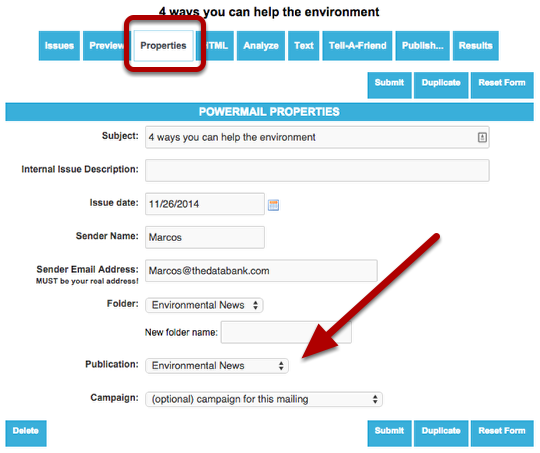 In the Publish tab of your PowerMail issue, click LIST THIS ISSUE IN WEB INDEX to have it listed. Click SAVE when you are done. Any issue can be removed from the index by unchecking this box. A plain index will contain the name of your publication as the headline and will include a list of all of the issues underneath that. Whatever is in the Subject line for the issue, will appear as the text in the link to the online issue. This index page can also be used within an iframe on your website. 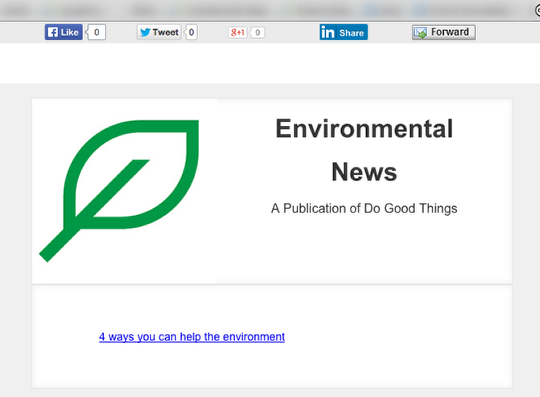 To create a web index which matches the styling of your newsletter, start with a blank copy of your newsletter. 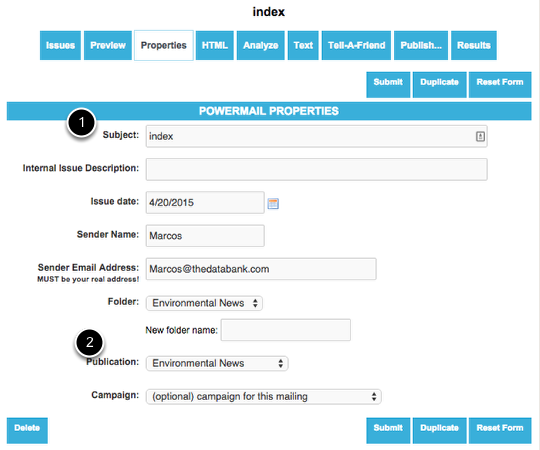 By editing your issue named 'index', you can customize the look of your index. By adding the ([title] and [content]) merge fields, you can customize the appearance of your Web Index. The name of your Publication will appear where [title] is entered. 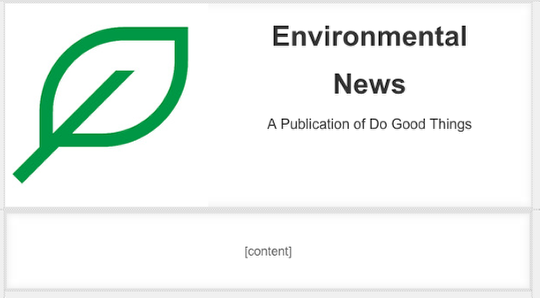 This is useful if the publication is not named in the letterhead. The individual issues will be listed in the [content] merge field. This page can be linked to directly or embedded in your site using an iframe.